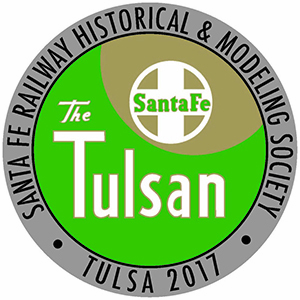 The 37th annual Santa Fe Railway Historical & Modeling Society Convention was held for the first time in Tulsa, Oklahoma, on June 21 – 25, 2017. 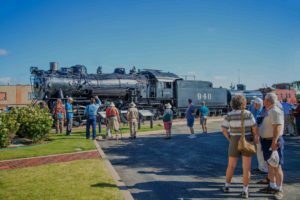 Fittingly, our theme was The Tulsan, which was a Tulsa to Kansas City streamliner with connections to and from Chicago. While in downtown Bartlesville, we visited the Phillips 66 Museum and the Bartlesville Historical Society. 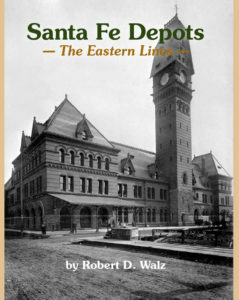 The Historical Society Museum has a large collection of Santa Fe photographs. Nearby was the Price Tower Arts Center and an MKT coaling tower. 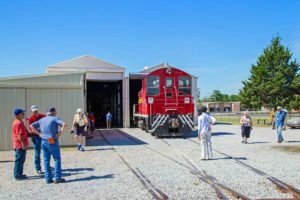 Tulsa-Sapulpa Union Railway shops. Photo by Raymond Woods, Jr.
Santa Fe #940. 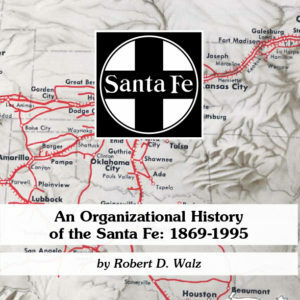 Photo by Raymond Woods, Jr.
Our excellent Clinic Organizer, Bob Walz, rounded up clinics covering both Santa Fe and BNSF topics including Denny Krausman- “Building a Prairie School Depot”, Bob Walz- “Otto Perry’s Santa Fe”, Mike Flick- “Tulsa Passenger Service”, Eric Goodman- “Constructing the Emporia Sub in HO”, Merrill Walz- “Business the Fred Harvey Way”, Steve Sandifer- “Howard Branch in History and Model”, Kenny Rhodes- “Riding the Vista Canyon”, Craig Ordner- “SFRH&MS Archives”, Eric Hiser- “Freight Car Distribution”, Dr. Ray Quackenbush- “Shawnee Depot and Shawnee Operations”, Ramon Rhodes- “Modeling BNSF Operations”, Mike Tomei- “Modeling BNSF Diesels”, Keel Middleton- “BNSF Operations” and more. 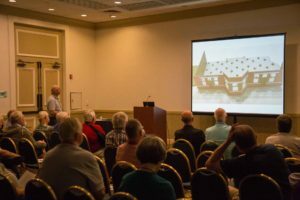 Denny Krausman demonstrates construction of a “prairie style” depot. Photo by Raymond Woods, Jr. The Society had another good showing in the model and photo contest. 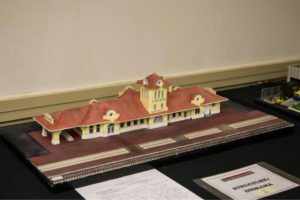 Below are photos of members judging some of the entries (popular and technical votes), a model of the Bartlesville, Oklahoma depot we saw during the Extra Fare trip (model by Kevin Looff). In the contest room. Photo by Raymond Woods, Jr.
Kevin Looff model of Bartlesville, Oklahoma depot. Kevin did laser cutting from original plans. The model won a Certificate of Technical Excellence – Structures. 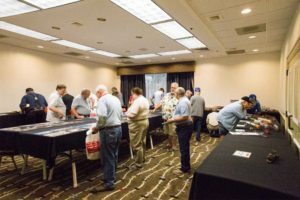 Photo by Raymond Woods, Jr.
Click here to see photos of all the award winning models at the 2017 Tulsa Convention! The Society gathered for its annual awards banquet on Saturday night. 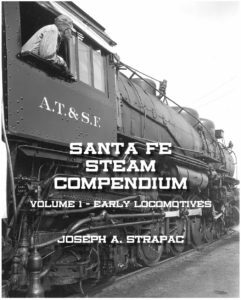 Both Santa Fe and BNSF modelers and photographers were recognized for their efforts. Raffle prizes were distributed. The Society then honored its members enrolled on the Perpetual Roll of Honor. 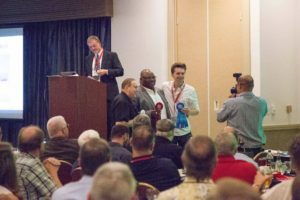 New honorees in 2017 included Denny Krausman and Ian MacKellar as Master Santa Fe Modelers; Douglas J. Watts as Honorary Life Member for service to the Society; and Dennis J. Kogan received the coveted Lifetime Achievement Award for his work on the Santa Fe’s lightweight passenger fleet (and auxiliary details). Marcus Dietrichkeit (1st place), Ramon Rhodes (2d place) get their photos taken after winning a BNSF model category. 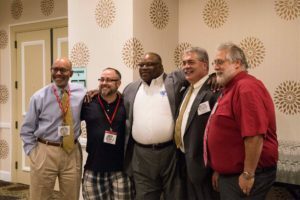 Photo by Raymond Woods, Jr.
Modelers share fellowship after awards. From left to right: Doug Watts, Sammy Carlile (first time contest entrant! ), Ramon Rhodes, Mike Tomei and Michael Brusky (best of show honoree). Raymond Woods, Jr. photo.